Parents - We have 3 spots for School Site Council Nominations. Please click on the link for the nomination form. Notice to all Parents and Guardians. Don't spread the flu. Keep kids at home a day or two. Keep your child at home if they have these flu symptoms: Fever with Headache, Dry Cough, Sore Throat, or Muscle Aches. Kids can return to school 24 hours after fever is gone. 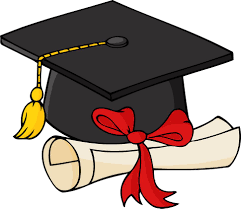 Graduation will be Friday, May 31,2019 at 6:00PM. Wednesday, April 17, PTSA meeting in the cafeteria at 7 pm. perez_alejandra@ausd.us and put CAP and Gown in the subject. Thank you. **Click on link above** We are conducting a survey for our WASC ACCREDITATION. Please take the time and complete the survey. PTSA has invited USC’s Assistant Dean of Undergraduate Admission and Loyola Marymount University’s Admissions Officer to make a SPECIAL PRESENTATION at Mark Keppel! All students and parents are invited to attend in the school cafeteria from 7 pm to 9 pm. Come to learn about these nationally-ranked universities; WHY students should consider Private Universities; their high-quality academics; and the advantages and financial support they offer. Meet Mark Keppel alums currently attending USC and LMU and get a first-hand view of campus life, internship and research opportunities and the like. Also find out about “Early Decision,” “Early Action” and MUCH MORE. See you there! PTSA is sponsoring the Personal Statement and UC Insight Essay Questions Workshop. All Seniors & Juniors are invited to attend in the school cafeteria from 7 pm - 9 pm on Thursday, October 4th. This workshop will show you what to prepare for in writing your personal statement to present yourself for the eyes of the college admissions committee. You'll learn tips and hints and more importantly the dos and don'ts in personal statement writing and see examples of good and not so good writing. Office of Instruction will be hosting their annual Title 1 Meeting on September 17th. Come join us at the Aztec Conference Room at 6pm. AUSD is partnering with Revolutionary Prep to host two prep courses for ACT (starting 9/29) and SAT (starting 11/3). Parents and students you're invited to attend a parent night to learn more about the prep course: Tuesday 9/11, 6pm at SGHS or Thursday 9/13, 6pm at AHS. Please take a few minutes to complete the following survey. AUSD is partnering up with Revolutionary Prep to offer ACT (9/15) and SAT (9/22) Mock Exam. SAT Mock - September 22, 2018 at SG Multi-Purpose Room 9am - 1:30pm. Click on link to register.